* CCC-633EZ - Loan Deficiency Payment (LDP) agreement and request - MUST BE SIGNED AND ON FILE WITH FSA OFFICE BEFORE HARVEST. * 2nd Tuesday each month - Farm Loan personnel in Kiowa County FSA Office. * July 15th - Production submission deadline for 2015 NAP crops. * August 1 - Deadline to request farm reconstitution or farm transfer for 2016. This includes transfers for physical county ARC-CO yields. * CRP GRASSLANDS SIGNUP - No date announced for deadline. 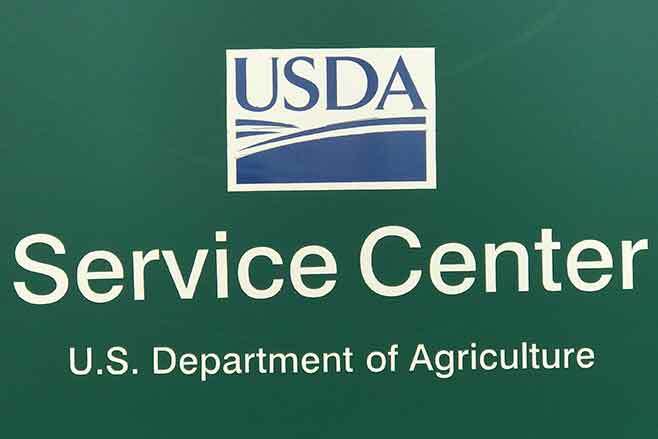 The USDA Service Center will be closed Monday, July 4th in observance of the Fourth of July holiday. The Service Center will reopen on Tuesday, July 5th. I would imagine by the time the papers are printed next week; wheat harvest will be in full gear. The hot and windy weather has turned the wheat that beautiful golden color quite quickly. Be certain you have your CCC-633 EZ 'Loan Deficiency Payment (LDP)' form signed prior to harvest. Unfortunately the wheat price falling a little more every day. For producers that have been around a number years along with some seasoned FSA employees - LDP's aren't a good thing. Loan Deficiency payments occur when the grain prices fall below the counties loan rate for the commodity. For example in Kiowa County the 2016 loan rate for wheat is $3.03 bu. For an LDP rate to be effective the terminal prices in Kansas City and the Gulf minus the differentials and the higher of those two prices would have to be below the $3.03. The rates are computed daily for each commodity. Posted County Price = $3.50(higher of the two terminals)- $3.03 Kiowa County wheat loan rate = 0.0 LDP rate. Be reminded the definition of Posted County Price IS NOT the price at the local elevator. The price is the higher of the two terminals used to compute the posted county price. With the wheat price low; producers who want to hold on to the commodity for a higher price may want to consider commodity marketing loan. FSA offers two types of loans; warehouse and farm stored. Warehouse loans - producer must obtain a warehouse receipt from an approved warehouse or elevator. Pay 9 months of storage to the elevator. The FSA office retains the warehouse receipt and will also require a paid storage receipt. Farm stored loans - producers can certify the number of bushels in the bin(s) or can request a bin measurement. Loans are for a maximum of 9 month loans. Lien waivers must be obtained from those listed on the lien search i.e. banks normally. Payment can be issued 100% to producer, jointly between lien holder and producer or 100% to the lien holder. Commodity loans are beneficial for producers that need cash to pay cutting bills and still have the commodity to market. The loan can be paid off anytime during the 9 months. Farm stored loans require a marketing authorization prior to delivery to protect FSA's interest in the commodity.